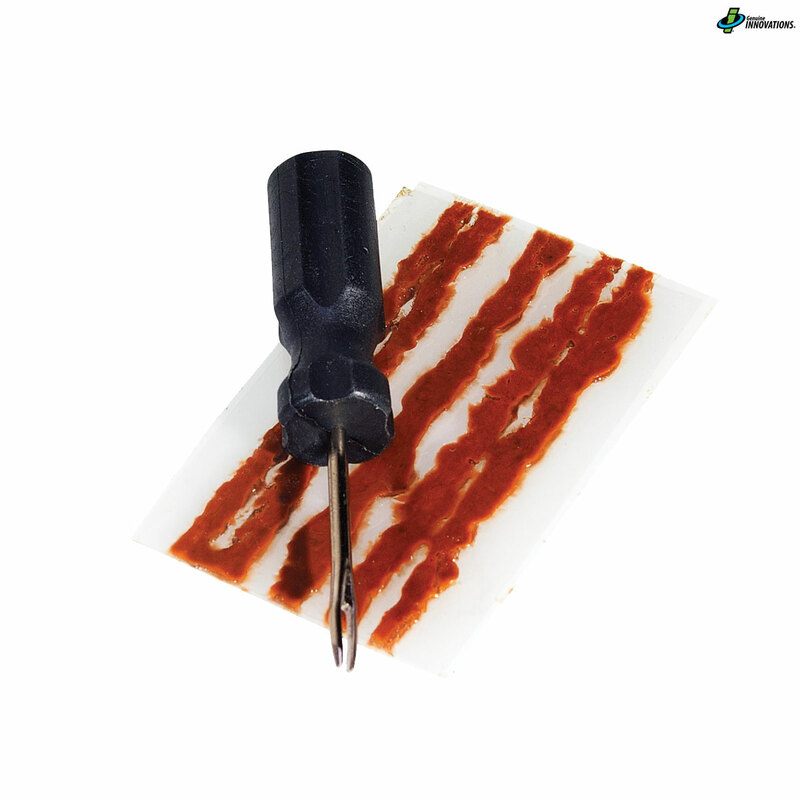 This quick and easy-to-use kit consists of 5 self adhesive plugs and an insertion tool. Should you puncture out on the trail, just insert a plug into the hole using the insertion tool and the hole is sealed instantly. It's that simple. ProsEasy to use & very light to carry on bike. Sealed large hole in my rear tubeless tyre. Note sealing sticks are very sticky, & you will need a small sharp knife to cut off the two ends sticking out of the tyre.